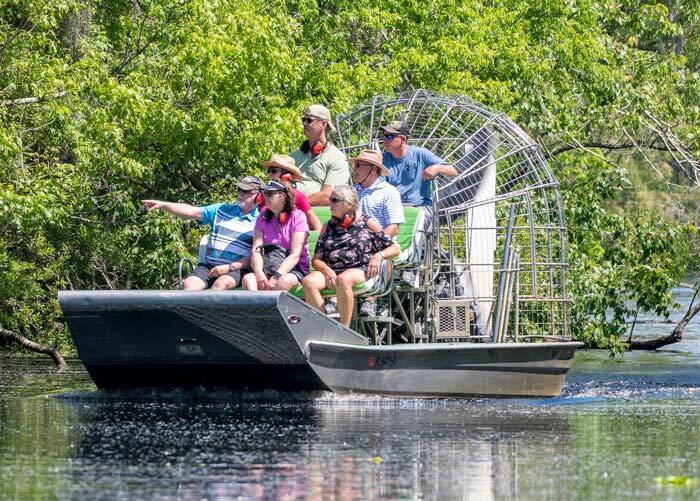 You haven't been on a swamp tour till you’ve ventured into the Louisiana swamp on an airboat piloted by one of our knowledgeable, entertaining captains. Feel the breeze in your hair and the rush of seeing alligators closeup in the wild, sunning on logs, laying along the bank and swimming right up to your airboat. Watch egrets and herons as they fish and fly. See turtles plop, wild boars root, and swamp irises bloom. And you thought Bourbon Street was wild! Come experience a thrill on our Small Airboats. This tour is more personalized. You will get deeper into our beautiful cypress swamps. This tour is approximately 1 hour and 40 minutes. 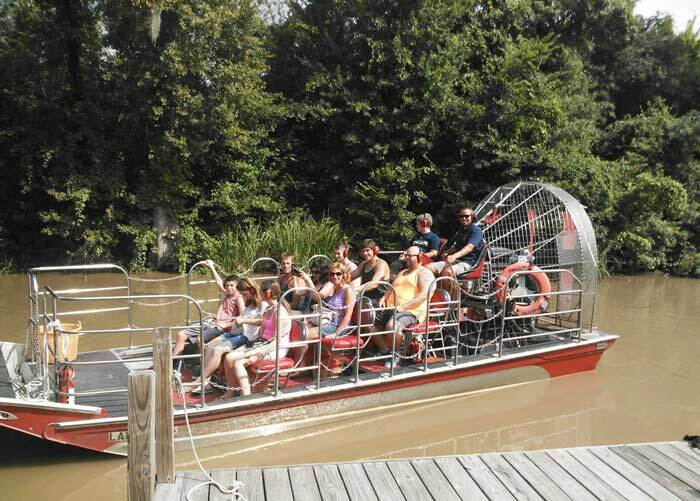 This is our U.S. Coast Guard Certified Passenger Airboat. This tour will get you deep into our "Private Cypress Swamp." This tour is approximately 1 hour and 40 minutes. Located 20 miles from Downtown N.O. Take I-10 West, to I-310 South, Exit 220. Travel on I-310 across the Mississippi River, Exit 10 to Hwy. 3127. Travel 1 mile to the first crossover, turn left, you are here. Arrive 15 minutes before tour time. Swamp Adventures offers convenient round-trip transportation to and from your hotel in our clean, air-conditioned shuttle buses. Please allow up to 30 minutes after pickup begins.